Download Facebook videos on android is not difficult, and Facebook already competes with YouTube in audiovisual content. And whether we want it or not, it is impossible to walk through our timeline without finishing playing a video. Surely on more than one occasion one of those videos you liked so much, you’ve wished you could download it to your phone. And so to be able to reproduce it without connection or simply, it was the inner collector’s zeal. Do not worry, you’re not the only one. Unfortunately, downloading videos from Facebook on our phone is not automatic from the application. However, with a couple of simple tricks can be carried out without problem. Let’s see what you should do in each case depending on your operating system. First of all we have to download the free tool “Video Downloader for Facebook” that is on Google Play. 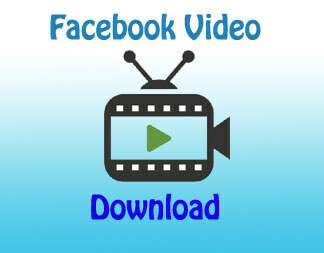 This application allows us to download both our videos and videos of other users or pages. To start using it, it will be enough to login with our credentials. Once we are inside the application with our Facebook session open, all we have to do is look for the video. Within the different sections it offers, select it and download it, as simple as that. Although in iOS we usually find more restrictions when executing this type of actions. Downloading Facebook videos on an iPhone is also a simple matter. In this case we will have to download the free application “Documents 5” from the App Store. Once we have the application downloaded on our iPhone we will go to the option of the browser that is inside the main menu and we will write in the search bar: “http://es.savefrom.net/”. The next step is to open the Facebook application and choose which video is the one we want to save. Once we have it clear we will select the option “copy link” in the “share” menu. Now all we have to do is go back to the app and in the search bar paste the link. Automatically we will see the download option, select the quality and the video will be saved. It will be in the application’s download folder. How do I pass the video to my reel? The idea of all this is to be able to save the video on our reel so we can see it directly or share it, right? Well, do not panic, there is a very simple solution. If we access the application’s download folder, we will find all the videos that we have downloaded. There, we select the one we want to take to our reel and press the edit option. Among the options we find available we have to send it by mail and that’s where the solution is. We select this option and we send it to ourselves. Once we have received the email with the video, the only thing we will have to do is download it and voilá! We already have it in our device to do with it what we please. 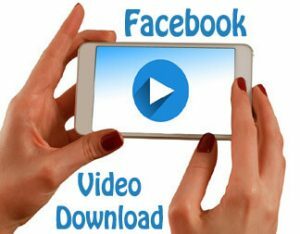 Now you know how to download videos from Facebook. I hope you liked this article and, if you need help, leave a message below. You can find more interesting apps for android on technology tips. See you! Previous articleHow to use Encrypted messages Gmail and why? Next articleSmartphone Buying Guide: Find the best phone! Razer Phone: First Smartphone for Gamers!